The Cowan Report: Hammersmith Grove Armadillo - Permission Granted! Bore them and they’ll go home… That seemed to be the tactic initially wheeled out for last Tuesday’s Planning Applications Committee. I guess the last thing the Administration wanted was to anger a large crowd already opposed to what they were about to do. Over two hundred and fifty of Hammersmith’s residents had turned out on a chilled, dark October night. Having been banned by Ravenscourt Park ward Councillor Lucy Ivimy (Con), the Chair of Planning, from being able to make representations to her committee they were still keen to express their opposition to the eleven storey office building. They brought A3 posters along, splashed with slogans such as, Just Say No, Put Residents First and Don’t Put Developers First. To begin with, the Administration’s plan to weary the people in the room went well. Council officials talked in dull, monotone voices, studiously avoiding answering any of the controversial subjects they had been quizzed on. The Administration’s councillors were cued in to ask about the building’s floor space and other such dreary matters. I thought people would begin to leave. But I hadn’t figured on the residents’ posters. The audience began to wave gently their blue and green sheets. The combined rustle of the papers caused Cllr. Ivimy to lose her temper. She shouted at the people in the room, telling them that if they continued to hold up their posters she would have them “expelled”. The mood changed. Now people were angry. Cllr. Lisa Nandy (Lab) and I were able to address the committee on behalf of the residents. And, along with Councillors Michael Cartwright (Lab), Wesley Harcourt (Lab) and Colin Aherne (Lab) we asked about the flawed evidence and process associated with this scheme. However, as with the Percy Road development, most residents told me afterward that it was clear that the Administration's councillors had made their minds up well in advance and used their two to one majority to vote the scheme through. Cllr. Stephen Greenhalgh (Con), the Leader of the Council was there with his Deputy, Cllr. Nicholas Botterill (Con). Both explained their vision of Hammersmith’s future as an “office hub” and said this development was an important part of that plan. The local Conservative MP has now also publicly expressed his enthusiastic support for the £250million scheme – although he is not seeking re-election as a representative of the people of Hammersmith. From what I know of the Conservative Group, it would have been be hard for any of their councillors to vote against the views of their leadership. None did. Three of the seven Conservative councillors on the committee expressed their concerns about the scheme. However, politicians should be judged by their deeds and two of those three actually voted for it. The third refused to vote against it. The final vote was six for the development (all Conservatives), three against (all Labour). After the vote comes the propaganda. H&F Council's Administration is making two points in its defence. Both fail to stand up to any scrutiny. 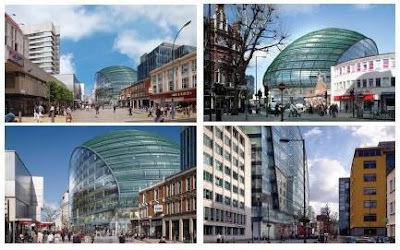 Firstly, the line goes that permission had to be given to this site as next spring the London Mayor will gain powers to order a bigger building and he will order a 25 storey sky scraper. If this was the case this developer, as with any developer, would wait the six months. In fact, one local resident who works in the industry told me any developer would wait over five years if they could get something that would deliver them £700million instead of £250million. The second line being pushed is that this scheme was started under Labour. This is a downright untruth. Any member of the public can use the Freedom of Information Act and if they do they will find that negotiations started about this scheme on the 15th November 2006 – six months after the Conservatives became the administration. They will also discover that a different developer proposed a scheme for that site to the previous Labour Administration in the first year of this decade. It was almost half the size of this development and failed to even make it to the Planning Committee. Overall, I think most people left the meeting feeling disappointed in their local Council. Added to those that attended, there were two hundred and eighty three people that had bothered to write into their Council to object. Only three people had written in to say they liked the scheme. There was unanimity amongst all the local residents’ groups in opposing this development. The Brackenbury Residents Association, the Hammersmith Society, the H&F Historic Buildings Group, the H&F Community Trust and the Cambridge Grove Residents Association all objected to this scheme. My fellow ward councillors and I did our best to oppose it. Many of the people who worked hard to stop the development were members of parties from across the political spectrum but most were not associated with any particular political allegiance. As far as residents were concerned this was rightly not about party politics. In the end residents were surprised and upset that this controversial building was voted through by a majority of Conservative Councillors. I regret that we couldn’t make those councillors see sense and put in something that was smaller and in line with residents’ views. Thank you for your efforts on behalf of the local residents. The overriding comment I heard as locals were leaving was for people wanting to change their vote at the next local election. Since the meeting, I have been counting the traffic during my 12 minute walk up and down Hammersmith Grove each day and find the number of vehicles between 28 and 69 during the 12 minutes. As I walk one way about 7.45am (not the peak) and back usually after 7.15 pm (or as late as 9pm), even with my rudimentary maths it would add to more than 400 vehicles. You and your colleagues worked very hard for local residents and people should know this. This is not a building to be proud of, and even councillors who voted for the planning application looked shamefaced. By the way I counted over 250 residents at the planning meeting in the Town Hall. P.S. We are now trying to oppose the change of use of the former Brackenbury Road Post Office into a mini-cab office - hope we can rely on your support.